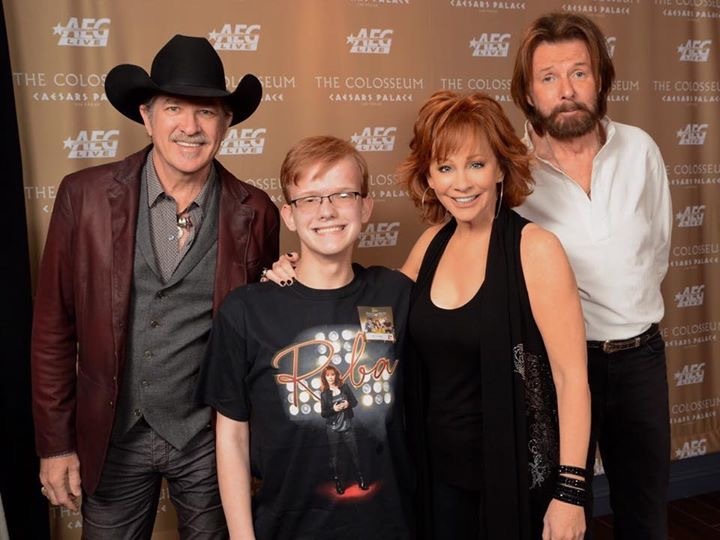 Josh’s Wish Team sent him and his family to Las Vegas, NV to meet Reba. During their time in Las Vegas, Josh and his family stayed at Caesars Palace. Not only did Josh attend the Reba McEntire concert, he had a meet and greet with her before the concert!!! Josh was also able to see Brooks & Dunn perform, as well as the Blue Man Group. Another part of Josh’s wish are cooking lessons, violin lessons, and a bicycle that will allow Joshua to ride safely.